We've nearly come to the end of the 20th season of Top Gear, but don't get sad, the british chaps are already working for the 21th season since they have been spotted in Italy while filming a new episode. 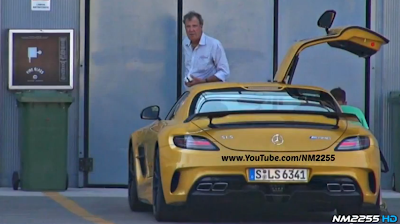 This episode will be called " The perfect road trip ", it involves Clarkson and Hammond behind the wheel of a Ferrari F12 Berlinetta and a Mercedes SLS AMG Black Series around North Italy, but that's not all! Apparently, the Top Gear crew is filming a part of this episode also at Monza with The Stig, a Pagani Huayra and the new Porsche Cayman S.
Non vedo l'ora ! ! ! it might just be for Clarkson's Christmas video?? FREE Lifetime Online Technical Support.